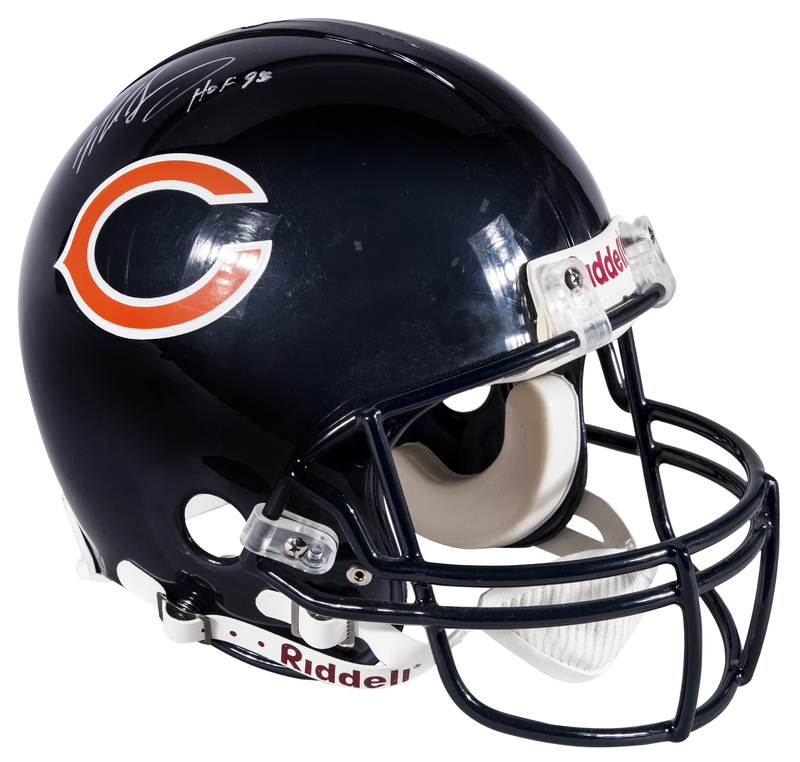 Offered here are two Chicago Bears helmets individually signed by a pair of Hall of Famers. 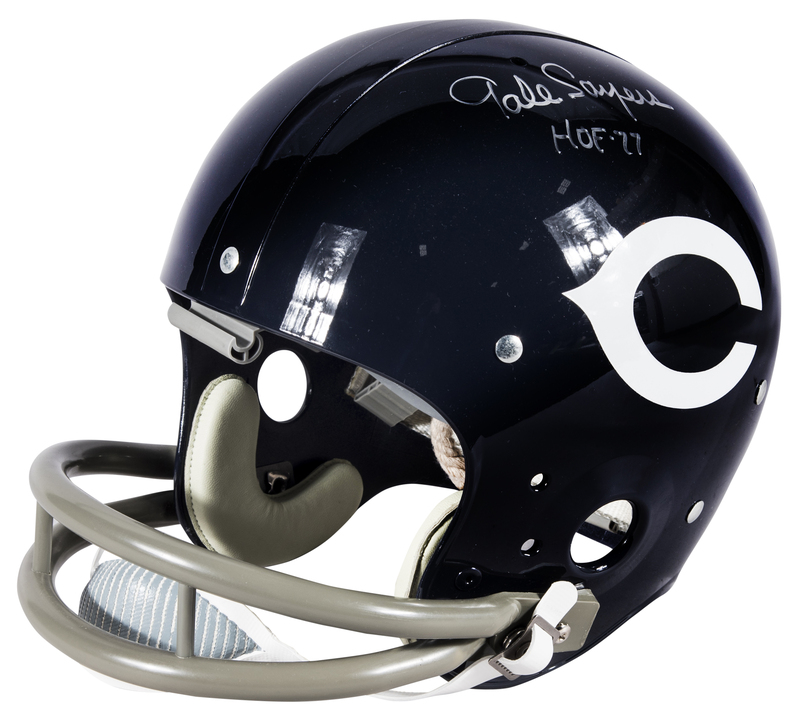 The first helmet, a retro Bears suspension helmet with a two-bar facemask and white wishbone “C” logos, has been signed in silver marker by Gale Sayers. 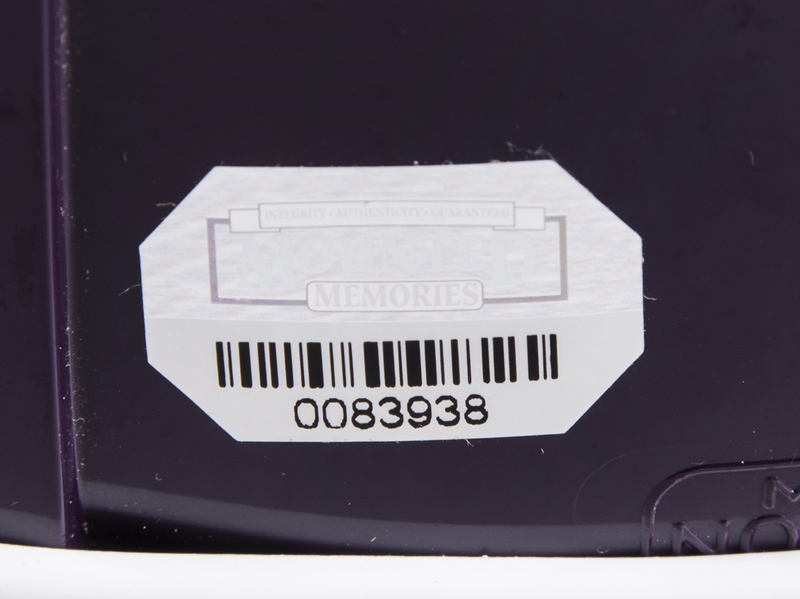 The former Kansas Jayhawk has inscribed “HOF 77” below his signature. 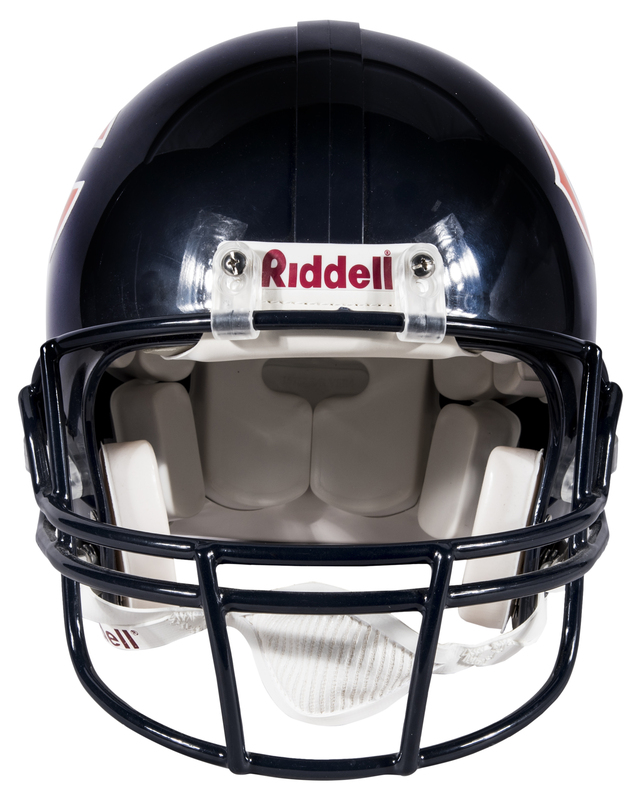 The second helmet is a modern Bears lid, and it has been signed by the Hall of Fame linebacker Mike Singletary. 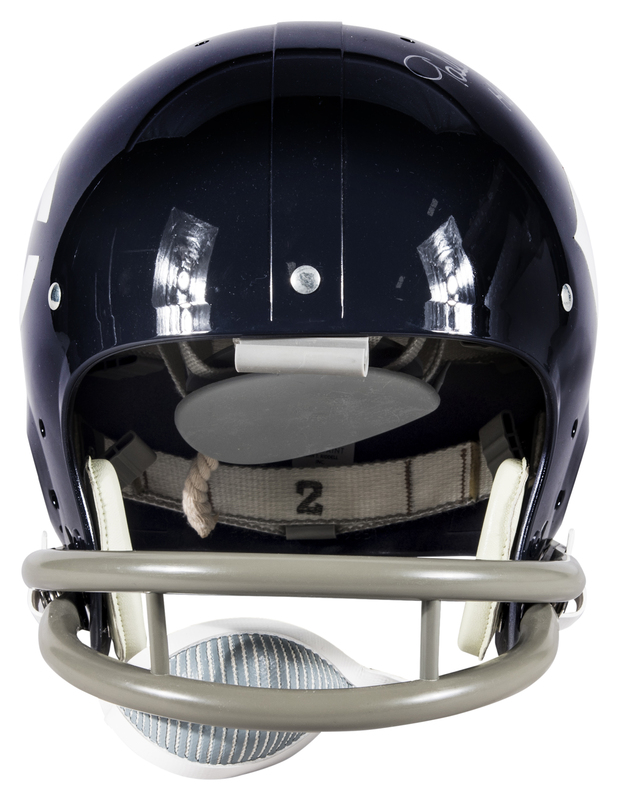 Singletary, a standout at Baylor during his collegiate days, has signed this helmet in silver marker and inscribed “HOF 98” in addition to his signature. 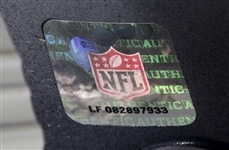 Each helmet comes with a COA from Beckett Authentication Services (F63858, F63859).